Today’s show is an outcry of the lawlessness happening in America today. 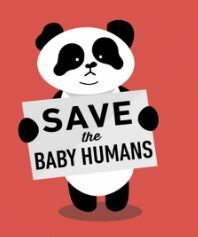 On February 23, a New York rally organized by Elizabeth Johnston, the Activist Mommy, is being planned as a push back against slaughter of the unborn. She’s hoping this will spill over into local state rallies. Why do the pro-abort people hate children so much? Who cares about the babies? Virginia 3rd trimester abortion bill introduced, as well as legalizing infanticide, with the certification of the physician and the mother. It clearly isn’t “her body” anymore, and they still want to kill the baby. And the doctor gets more say in the matter, than even the father of the baby? Quit sitting around waiting for the anti-Christ. The spirit of the anti-Christ is here! “Rulers are God’s appointees to maintain order and promote righteousness in a civil society.” Got Questions. It is a sin to obey unrighteous government. Romans 13 was written to Christians. We should never obey ungodly leaders. He wasn’t telling us to do that. To obey man rather than God is lawlessness.